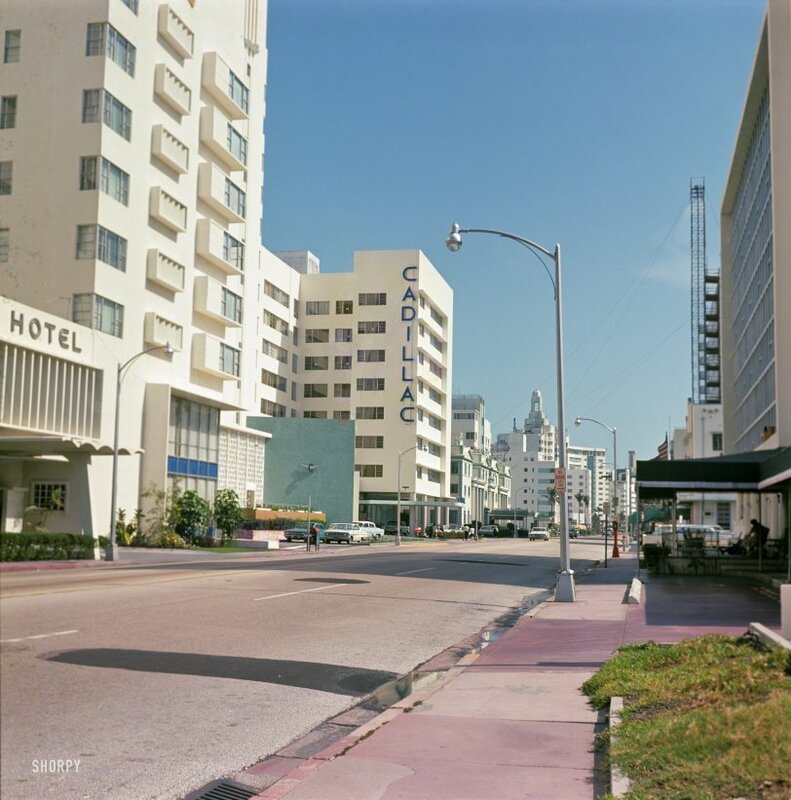 "Collins Avenue, Miami Beach, 1964." Showing further progress in the application of asphalt and cement to this former palm-studded sandbar. Medium format color transparency, photographer unknown. View full size. Submitted by kentinal on Fri, 07/17/2015 - 8:40am. For some reason my parents had a wooden hanger that says "Cadillac Hotel, Miami FLA". To my knowledge neither one visited Miami. I ended up with it and have kept it because I always thought it was cool. It's neat to see a picture of the hotel! Submitted by JohnHoward on Thu, 07/16/2015 - 5:15pm. A red-topped blue mailbox and red fire callbox.